I have blatantly and over confessed my love for the Cronuts ever since I first entered Monseir Dominique Ansel’s Bakeshop in New York (Food Blog: The Quest For A Cronut). Far away from the Big Apple, I have been craving for this sweet creation here in Dubai. 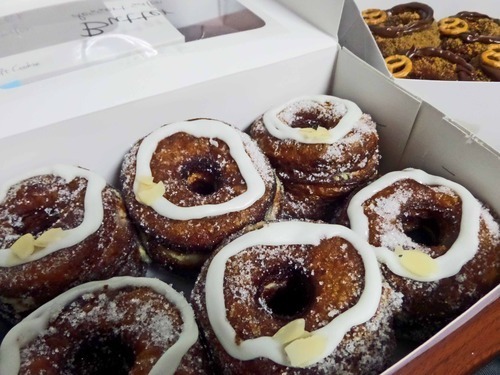 Trying to search online, I was very much unsuccessful until one day, in an event project meeting I met this local lady who is a friend of our ‘VIP’ client and out of the nowhere she mentioned that she knows someone who creates ‘this famous desert from New York’ –I jumped immediately and asked—is it the Cronut? Hearing a big YES, I took the details right away. 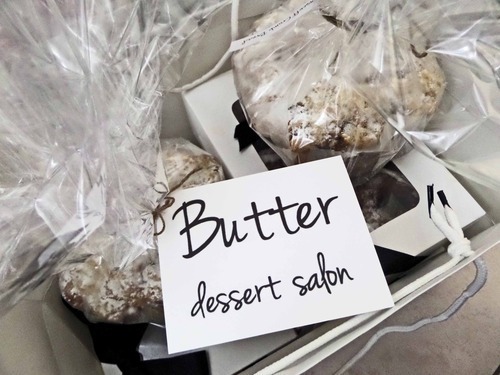 The name of the bakeshop is Butter Dubai Salon, they have an instagram page (ihttp://instagram.com/butterdubai#) and from there you you’ll be instructed on how to order. I love their packaging, the white boxes with black ribbons look so chic and stylish. They are doing all transactions online. Normally, you will send them an SMS or email and tell them your order and then they will arrange with you the day of the pick up. They have 2 pick-up points, one in Mercato Mall and the other in Century Mall. This was actually my second order from them (needless to say that I was very much satisfied the first time). 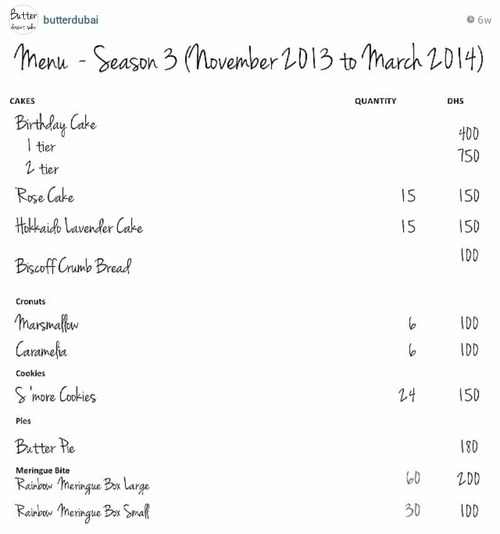 I ordered the caramelia cronuts, vanilla cronuts, nutella cookies and a biscoff crumbs. In comparison with the original Dominique Ansel Cronuts, this one from Butter Dubai is at par with the original one. It has that interesting merger of a round sweet donut and a layered flaky croissant. I have tasted all their Cronut flavors, saffron, rose, vanilla and caramel. I love the caramel one the most. 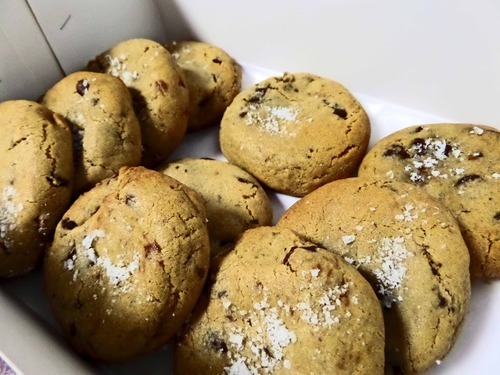 Another hit as voted by my taste buds is the Nutella Sea Salt Cookie. This was a complete surprise for me. I was not really a fan of Nutella but this made me join the famous chocolate bandwagon. 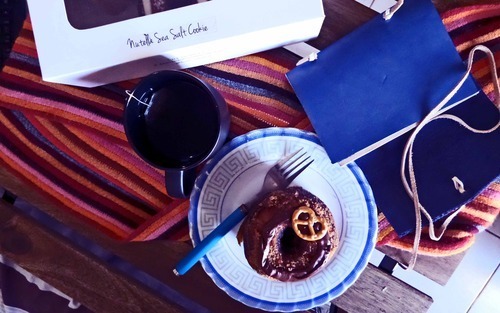 In every crunchy bite, there is an oozing sweet chocolate waiting for you inside (waaah I want to place my order again!). All in all, I was a satisfied dessert eater. 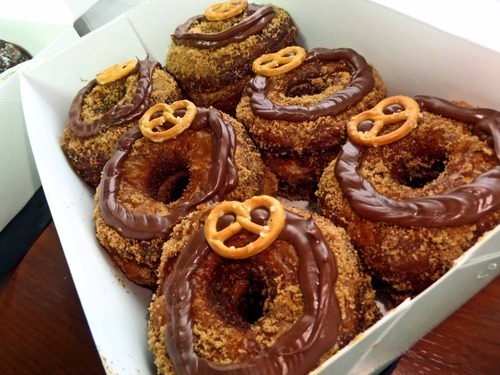 With a very affordable price ranges, I would really recommend to all sweet lovers out there or those who are just curious on the Cronuts craze. I love their motto, “Life is short, eat dessert first”…yey for DESSERTS!